The medieval understanding of ritual is based upon a couple core beliefs. There was the idea that the divine, God himself, was present in ritual actions. Related to this was a strong belief that contact was made with the divine through the senses. Although this presence and interaction with the divine was of greatest importance, the teaching that took place within the ritual was where the medieval layperson received his/her “catechesis.” (As we remember, ritual speaks with many different voices on many different levels of meaning.) Finally, the ritual actions of the Church involved the medieval layperson in personal ways that helped to bond individuals, creating a sense of unity and community. The medieval mind was focused greatly upon the significance of the body. The body was able to express and reveal the divine. This understanding was rooted in the Incarnation—that God had revealed himself to the world through his Son Jesus Christ, God made flesh. According to Torevell, Christianity is the first religion to isolate the body as an object of veneration. This veneration was focused both liturgically and ritually around the body of Christ. This can lead to the conviction that since God made his greatest self-revelation through the body of a man he continues to do so today. According to Edward Muir, this understanding of revelation through the body led to the Roman Catholic doctrine of ‘presence’. ‘The doctrine of presence’ was the belief that the rite actually made something ‘present’. These rites also possessed the ability to enact or bring something into being. An example: when someone is baptized, original sin disappears or, the “I do” that the couple says in marriage joins them together. The body was a potent conduit for the ‘presence’ of the divine. Following upon this belief of ‘presence’ through the body was the awareness that contact could be made with the divine through the senses. In speaking of this essence of ritual, the interplay between the sacred and the profane arises. This was because believers in the late medieval times approached sacred things in a sensual way. These sacred objects were a way, or a medium, through which the sacred [object] came in contact with the profane [layperson] by the means of the human senses. The two senses most commonly employed to experience this encounter were sight and sound. The employment of the senses was not limited to these two though. The point is that the senses, all rooted in the body, were vital for the medieval believer to come into contact with the divine. One could hear the sacring bells during the consecration and then raise their eyes to behold the host. This is just one example of sight and sound creating interaction with the divine. According to Torevell, “Medieval spirituality and religious identity were rooted in the centrality of the body as a site and route for an experience of the sacred, which in turn became reflected in the highly ritualized practices and liturgies of the Church.” Since the body was the route for the divine presence amongst the believers there had to be a ritualized, or ordered form for that divine presence to make itself present. Chaos is not ritual. The form could not be separated from the content. The actions of the body and all of its senses had to remain ritualized so that the encounter with the divine continued to be the same. If the actions [rituals] of the body [route] continued to change then the presence of God would rendered uncertain and fluctuating. Could there be dangers in this understanding of ritual action? We learn from Muir that the priest was expected to have an intellectual understanding of transubstantiation and the scriptural basis for the Mass. On the other hand, the laity were simply expected to assume their proper role in the ritual drama. They were supposed to envision Christ on the cross when they saw the elevation; they were to adore, not to think. This seems shocking and even a bit appalling to our modern minds. But we must remember that for the medieval mind, “The essence, power and presence of God can only be satisfactorily felt and perceived through sensation.” Their conceptions of interaction with the divine were never separated from an embodied experience. This whole system of interaction with the divine was witnessed to in the writings of St. Bonaventure. He maintained that the soul was the form of the body, being modified and changed by the experience of the sensible world. The senses themselves were able to communicate in a very direct way the presence of God—the finite revealed the infinite. Christianity was once again the first religion to focus upon the body as a center of devotion. Consequent to the devotion of the body of Christ was the understanding that God self-reveals himself to us bodily and hence sensually. The senses were not merely restricted to receiving God but also communicating the presence of God. This resulted in the principle that the inherent virtue of a ritual lies in its proper performance rather than from the spiritual traits of the priest celebrating the act. The priest worked the rituals by the power of his office and the powers of his soul. The body was the site that harnessed the power of God, his divine presence, which was released through ritual to communicate that presence to the believers sensually. If somebody cannot read or is unlearned, how else would they learn about Christian doctrine? To see things acted out in a ritualistic manner is highly conducive to remembering and learning the content of the act. This is another reason that the form of a ritual is indissoluble from its content. The form is the medium for relaying the content to the laity—a change in form results in a change of content. Muir informs us that on the eve of the Reformation, the Eucharistic piety amongst the laity was a pillar of the ritual system. This is significant because the ritual of the Eucharist reinforced both an incarnational theology and the spiritual mystery of the Eucharist itself. The education of the liturgy not only took place as a result of the ritual system but the system itself helped to reinforce those doctrines that were originally learned. The book Stripping of the Altars: Traditional Religion in England, 1400-1580 by Eamon Duffy provides primary evidence of the effects of the ritual system upon medieval laity. 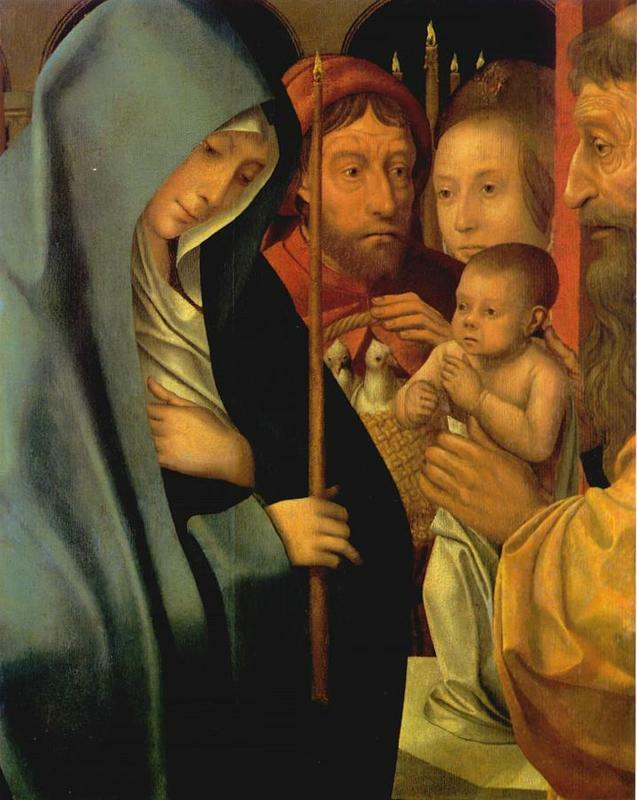 Duffy states, “In the lay consciousness, however, the annual procession with candles, far from remaining a secondary symbolic feature, invaded and transformed the scriptural scene.” This is in reference to the Candlemas ceremony, which involved all of the laity carrying candles throughout the Church for the Feast of the Presentation of Christ in the Temple. The procession with candles represented the entrance of Christ, the light of the world, into the Temple. An observance like this had come to shape the perceptions of the event, which were commemorated in the medieval mind. Ritual action was able, through the senses, to inform and reinforce central doctrines of the Church and the events of Christ’s life. Another example of this was the ritual of the Easter sepulchre. This was the event that involved the placing of a host in a sepulchre within the church on Good Friday. The placing of the host was to signify the placing of Jesus in the tomb. On Easter Sunday the host would be removed to signify the resurrection of Christ. This whole ritual was designed to give expression to the teaching of Christ’s cross and passion and most notably to the significance of the Eucharist. This custom of burying the host left a deep mark upon the minds of the medieval laity. Such a vivid form of depicting these events both taught and reinforced previous teaching amongst the parishioners. This ritual showed “re-enacted” and “reinforced” that Christ was truly buried and truly rose from the dead. It also accomplished teaching the doctrine of real presence—the host was truly Christ as it was buried and raised. This ritual served as the primary vehicle of the proclamation of the Easter Resurrection in medieval parishes. This ritual was so effective that many people wanted to be buried next to the sepulchre. As symbolic as this might be, what it showed was the equation of one’s own death and resurrection with that of Christ’s. There was a widespread comprehension and internalization of the content of the Easter liturgy through this ritualized form. One last example of the teaching elements of ritual are the Corpus Christi and Pater Noster plays. These plays were widespread throughout medieval parishes and popular for their didactic purposes. The Corpus Christi celebrations became primary occasions for the performance of didactic plays on the theme of salvation history. These plays were used primarily for the purpose of teaching the citizens elements of the faith, as witnessed by the Corpus Christi guild of York. 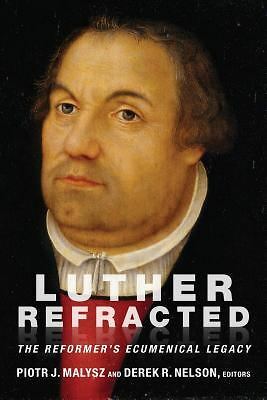 The plays, according to Duffy, clearly involved a massive and corporate effort to promote and reinforce knowledge of elements of the Christian faith. One result of this didactic element of ritual was the cohesion of the community. A community that learns together in such sensual and ritualistic ways also grows together, strengthening social bonds. As Torevell says, one of the major strengths of Pre-Vatican II worship was its ability to develop a sense of community and a collective identity through ritual regularity. The Eucharist was a main focus for the creating of a community. Although receiving communion was a rarity in the medieval church, the laity gazed upon it and by being a part of that ritual action, created a sense of community. Everyone would rush to the rood screen to peer through wholes to get a glimpse of the elevated host. One can imagine the jostling for position that took place. Bodies came together to form one community, a community centred on the divine presence. It was common medieval practice for believers to commune through the host on Easter day. This was where the formation of the community of believers took concrete form. Receiving communion at Easter meant inclusion within the community; exclusion from the sacrament was sign of social ostracism. As paraphrased by Torevell, 55. Eamon Duffy, Stripping of the Altars: Traditional Religion in England, 1400-1580, (New Haven, CO: Yale University Press, 1992), 18. As noted in Duffy, 92.